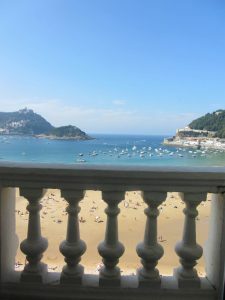 San Sebastián is one of Cathi Burnett-Cosgrove’s favourite destinations. She escorted a group tour there in 2010, returned in 2014, and has plans to visit once more in 2017! 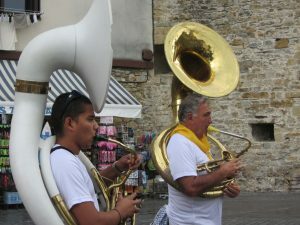 In 2016, San Sebastián was celebrated as the European Capital of Culture (along with Wroclaw in Poland). 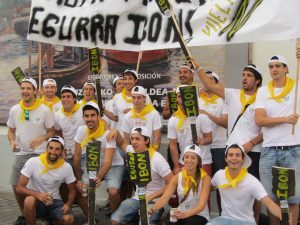 The language you hear on the streets and read on the chalkboards of restaurants and bars is Basque (or Euskara). Fans of classical European architecture will have much to marvel. Churches and town squares dating back centuries sit among incredible contemporary buildings. The new and the old complement each other in a way rarely seen outside of Europe. The rhythm of this city beats to the drum of eclectic street performers. The city is full of incredible art exhibitions and museums, set against the dramatic and picturesque landscapes. 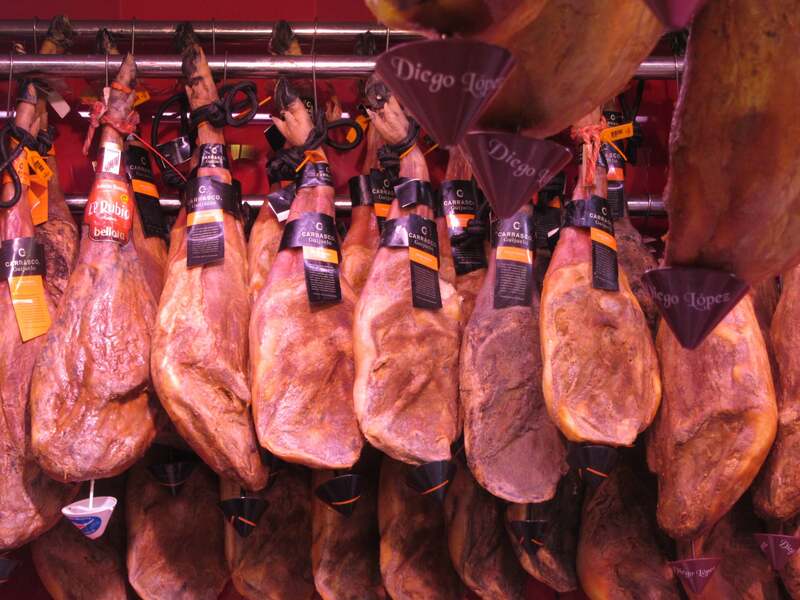 Food is integral to Basque culture. 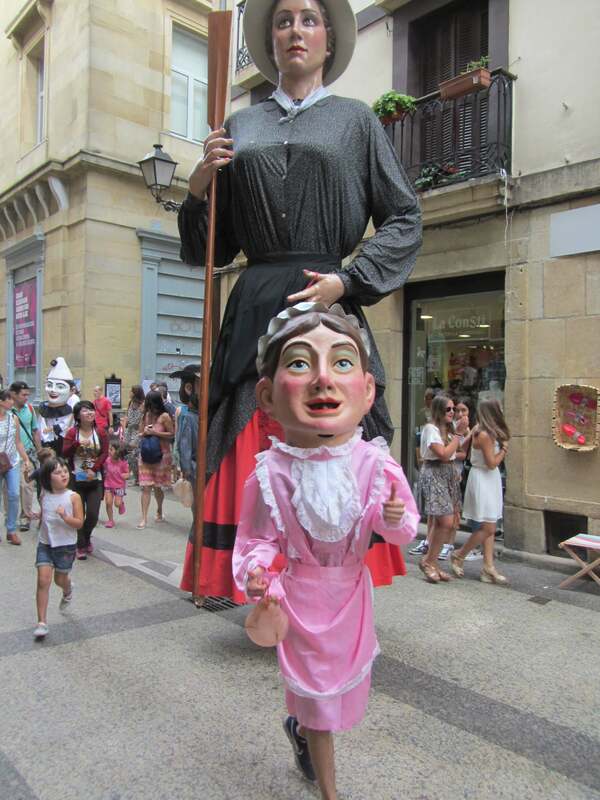 In the 1800’s, Sociedades Gastinómica began to pop up all around the area. These private clubs were a place for men to get together to cook, eat, drink, chat and sing – no women allowed! The traditional model still exists for some clubs, but most now permit women and tourists to enjoy the full experience. Pintxos, the Basque region’s answer to tapas, overflow atop bars that have been run by the same family for generations. Local cuisine makes use of fresh seafood, cured meats, sheep and goat cheeses, piquillo peppers and artichokes. Enjoy your Pintxos with a glass of txakoli (chock-oh-lee), a perfectly refreshing sparkling white wine. 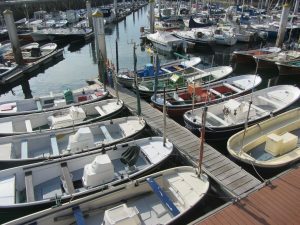 Among a calendar jam packed with events and festivals is the Basque Regatta, or Bandera de La Concha. 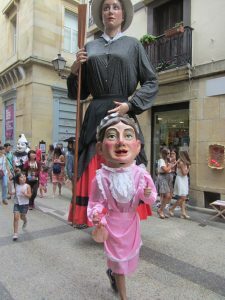 Festivities include music, dancing, puppet shows, markets, all surrounding the most prestigious rowing event of the season. Traditionally only local fisherman participated, but boats from the entire Cantabrian coast are now free to compete. Playa de la Concha is one of the best city beaches in Europe and provides a perfect place in which to view the race. The beach comes to life, with thousands of revellers cheering on colourful rowers. 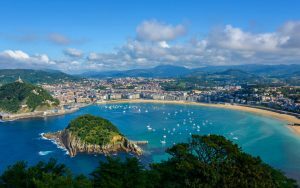 No matter how you want to enjoy Spain, you can include San Sebastian on your itinerary. 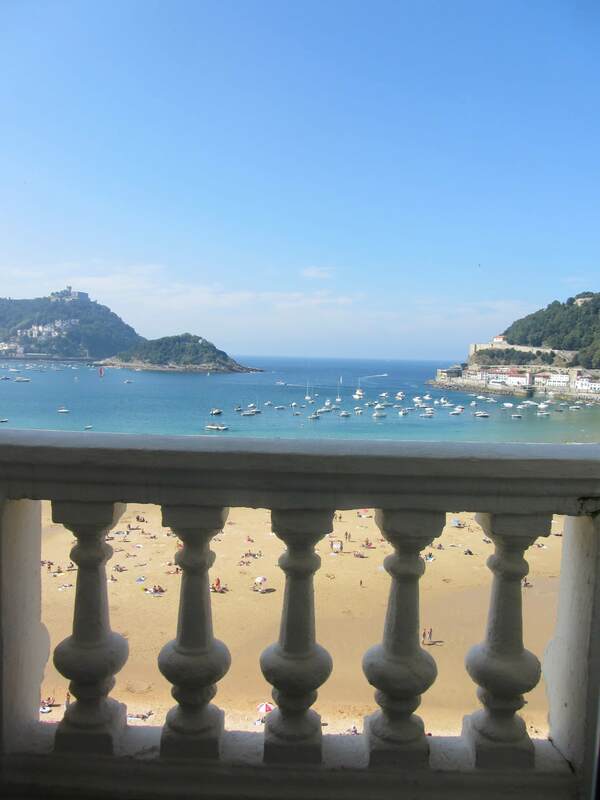 Plane, bus, car, or train, San Sebastian is accessible for everyone! Are you dreaming of visiting San Sebastián and relishing in the festivities of the Basque Regatta? 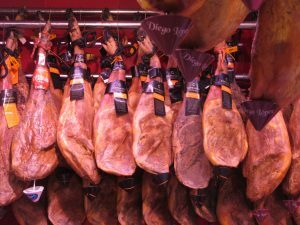 Join Cathi on her upcoming trip to Northern Spain and Bordeaux departing September!